I've read a couple of books, but haven't been posting...... This book I have found I have to be careful with my reccomendations. 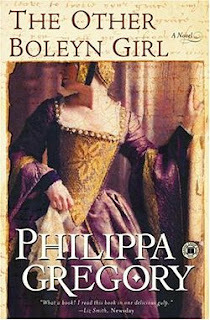 I love historical fiction, especially that of the English monarchies BUT this book is "racy". 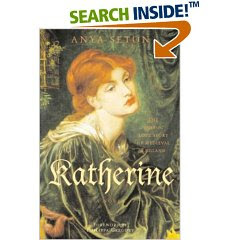 If you want an EXCELLENT book about historical England check out one of my absolute favorites. An excellent adventure/love story. The new Stephenie Meyer book will be released on May 6th, so lets make this the May book, shall we? You can read the first chapter on the authors website, if you're like me and too impatient to wait for the actual book. This is quite a change from what I normally read. I usually favor fantasy, maybe sci-fi, a little romance now and then. This is non-fiction, about a man's battle against poverty in Bangladesh. 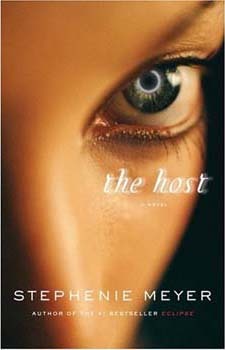 I discovered this book from "O" magazine, because Hugh Jackman said he liked this book. I think Hugh Jackman is uber dreamy, so anything he likes must be good, right? Muhammad Yunnus won a Nobel Peace Prize for his work, so I am quite excited to read about his economic impact. I just finished reading the third book in the series, and have put the fourth book on hold at the library. A friend in my ward recommended these books because both her and her daughter loved them. I too enjoyed them, though it was much different then what I thought it would be. It's about life a couple hundred years from now, where at the age of 16 everyone undergoes cosmetic surgery to make them beautiful. It centers around one character in particular, Tally. It poses many different points about what society considers "beautiful." I discovered these books after reading through the Deseret Books catalog. This wonderfully magical series is about a preserve set aside so all the magical creatures of the world can live in peace away from the unsuspecting population. 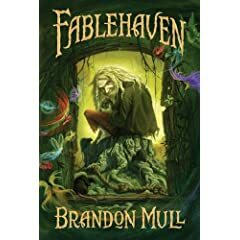 The grandchildren of the couple in charge of the preserve are sent there for a couple weeks, and chaos ensues as the children discover the secrets surrounding the area. It's a fast, easy read, but quite delightful. I have fallen in love with this mystery series. One of my co-workers recommended it to me a couple years ago, and the fifth book just came out this year. It takes place in England after the first World War, so it's interesting to hear a different perspective then an American take on the war. The author, Jacqueline Winspear, uses such a wonderful writing style, and I find it hard to put the book down, with each book having multiple mysteries included in the story. I haven't quite finished the book, but I couldn't resist writing some remarks. I have loved reading it. I took a short hiatus to read some other "new release" books, but am back on track, and plan on finishing it tonight. I love that the book is SO SO SO much like the movie. Or I guess I should say the movie is so like the book. Except for the Zoo, everything is quite similar. Even many of the lines the characters speak are taken from the book, like "Humiliations galore," and the ever famous "I'm not a witch, I'm your wife!" Plus the whole storyline with the author reading it to his sick son, it was just so familiar and welcoming. I found an interesting website that talks about the author, and the so-called Morgenstern. And if you go here, you can request the missing scene. I can't wait to watch the movie now! Just to brag, I gave a massage to Norman Lear, the executive producer of the movie. He was very nice.